If you're anything like me, the arrival of September means the most wonderful time of the year. It's not just the fall fashion or the pumpkin spiced lattes or the fact that my birthday is this month... it's the football. College football! There is nothing more fun than spending fall Saturdays camped out at a tailgate with your friends, cheering on your team. I love waking up and saying, it's game day, baby! 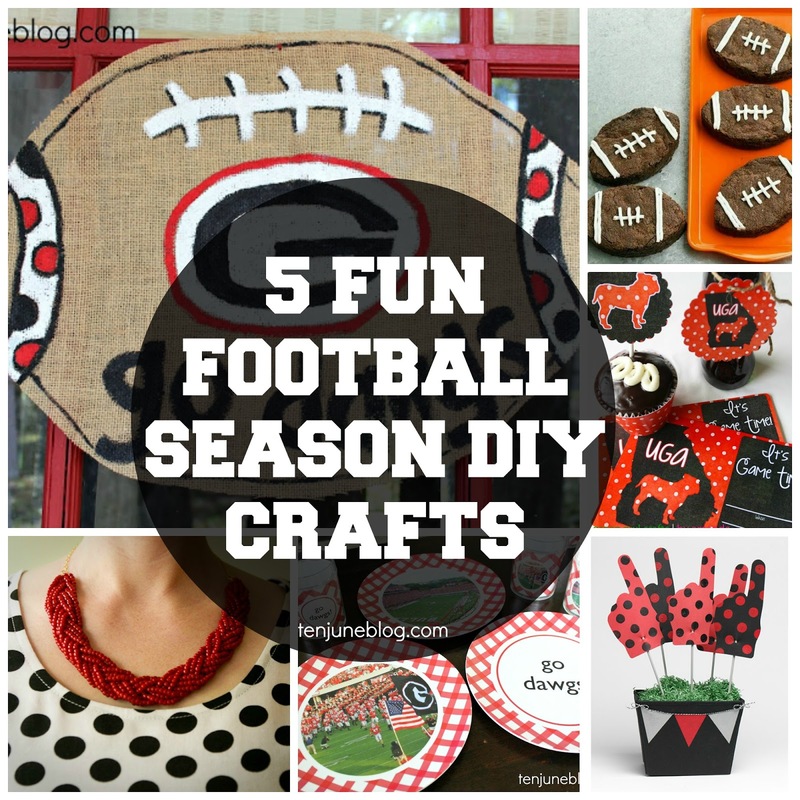 In honor of the start of football season, I've rounded up five fun football season DIY crafts. I can't even handle how adorable these FREE printables are. She's got a few different SEC teams available! I am definitely using these for a tailgate at some point this season. 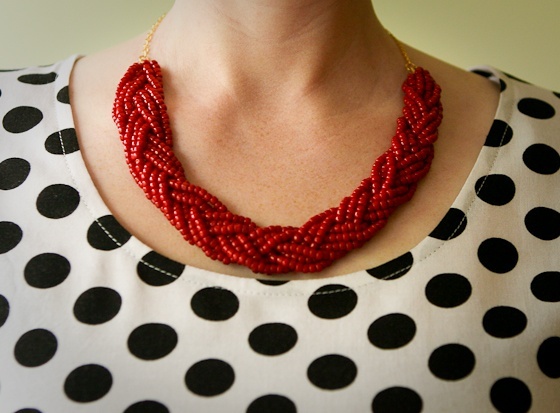 Every girl needs to look accessorized for her favorite team... this DIY braided bead necklace is one way to cheer on your team with their best colors! Last year, I made the perfect personalized plates and cups for tailgating on Shutterfly. 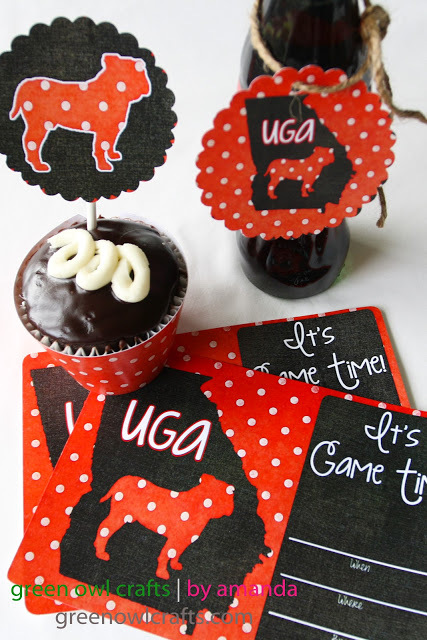 I used photos that I had taken at UGA games and simply put them and some text onto the plates and cups. Boom. 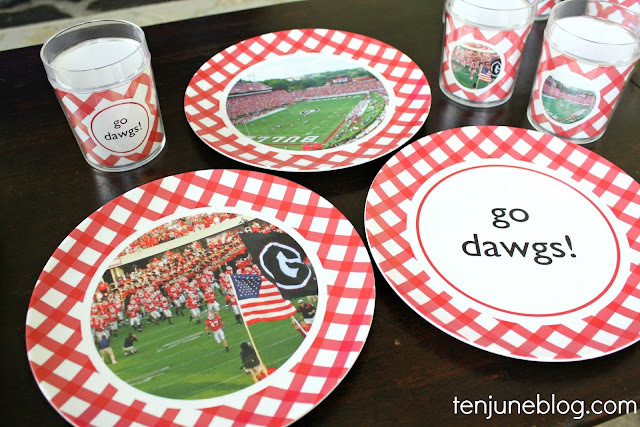 You have the perfect dinnerware for a tailgate! You can't talk about tailgating without food. 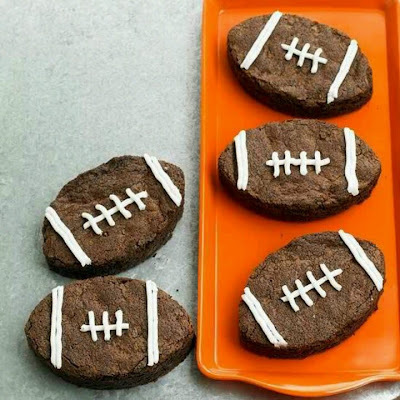 These easy, scrumptious football brownies are screaming my name. 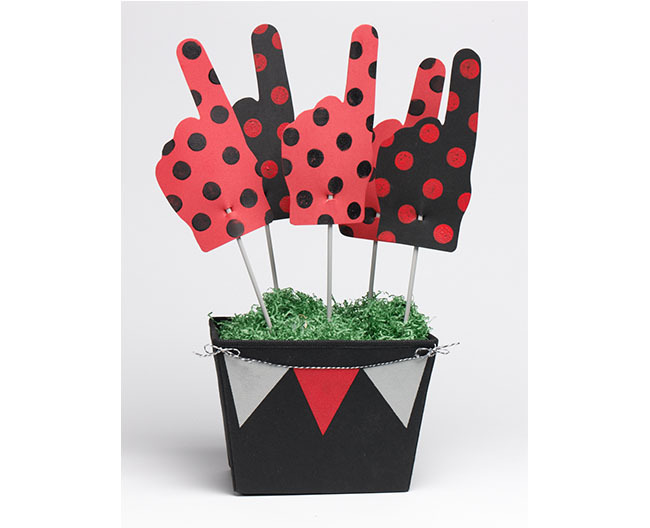 How cute is this foam finger centerpiece DIY? It looks so easy and cute. 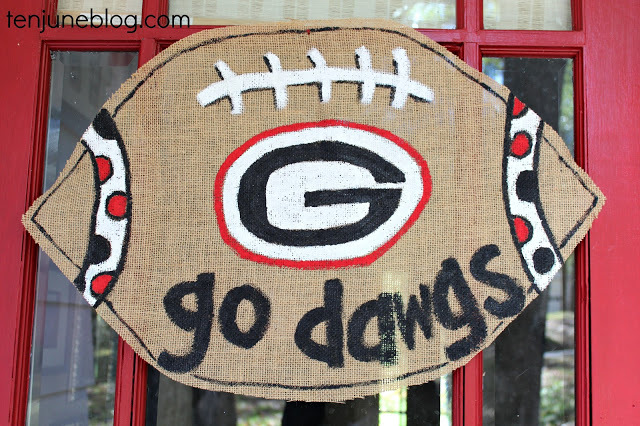 Doesn't hurt that it was made in my favorite football team's colors : ) Go Dawgs! There are just a few of my favorite football season DIY crafts. I can't wait to get started on a few of these to make tailgating even more awesome this year. 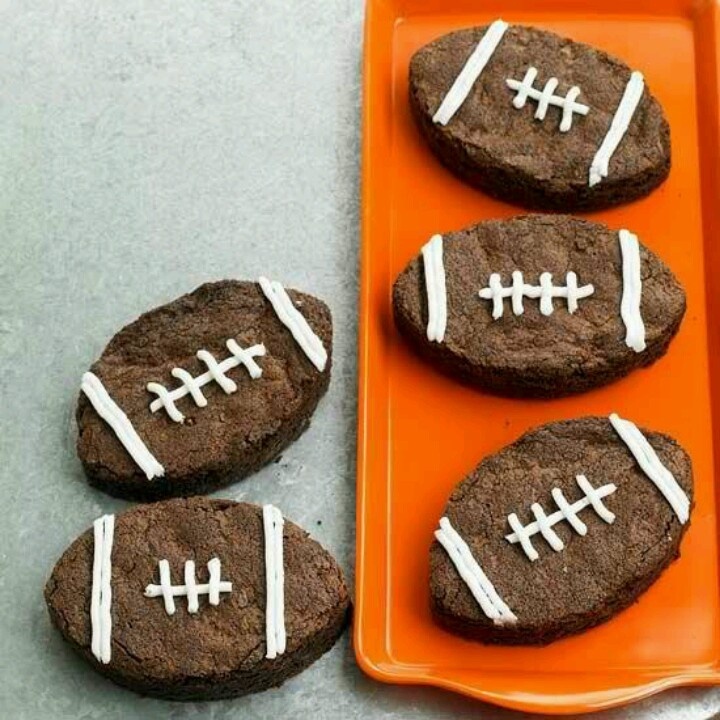 Have you made any football crafts this year? Do share! When I see a foam finger all I can picture is Miley Cyrus! HAHA! Awesome ideas! I'm beyond thrilled for the fall! Definitely going to have to try some of these projects!